← Sage against the Machine – Freedom or Marxism? From Florida to Georgia, from California to Arizona, what we saw in the 2018 elections was a train wreck. Crimes were committed, and, so far, though some have resigned, few officials have faced criminal charges. This has been getting worse every election cycle. Here is a three-step solution for how we can get back to simple, honest elections. STEP ONE — Back to the basics. THIS SECTION COMES VERBATIM FROM PJ MEDIA. “The mess in Florida, Georgia, Maine, and anywhere else in these United States where, thanks to the Democrats and their locust legions of lawyers, the results of last week’s elections are still in doubt, can easily be fixed. Have voting on a fixed day and date: all eligible voters with proof of identity and residency within the applicable jurisdiction can vote only during the statutory hours at designated polling places. The end. That’s largely the way elections used to be conducted in the modern age, when personal responsibility was still prized and the notion of civic duty was not derided as a relic of a vanishing “white,” patriarchal America that is rapidly being replaced by an ascendant (and coincidentally Democratic) coalition of women and minorities. In the guise of “fairness,” the secular Democrats have long since sacramentalized the right to vote — which, historically, is not all that sacred, and has been in various cultures, times, and places subject to all sorts of restrictions; and which right one is still free either to choose or not use — and now have incrementally extended the act of voting from one day to days and even weeks, whether before or after the actual election day itself. But if voting is “sacred,” then treat it like church or shul: on a fixed day, at a fixed time, in a fixed place. Since the polls closed on Nov. 6, the GOP has seen a steady number of House seats slip away from their apparent victors, as well as a Senate seat in Arizona and, still at issue, a Senate seat in Florida and two governorships, in Florida and Georgia. This makes nonsense of the whole idea of an election, which is a snapshot in time of citizens — all acting upon the same available information — making a binding decision in their role as the body politic. But nothing is ever really “binding” for the Democrats, who view campaigns as effectively a never-ending processes: they are always either litigating the most recent vote, planning ahead for the next one, or both. The Democrats have become the party for which elections are not a means to governing but governing itself, which they do via their secretaries of state, lawyers, extraordinary GOTV efforts, and various means of miraculous ballot-discovery. For them, no election is every truly over unless they win. Since 1845, the law has been clear: national elections (which set the standard for all others) are to be held on the first Tuesday after the first Monday in November. And yet the Democrats have cannily whittled away the very concept of an election by cloaking their various amendments and objections in the guise of “civil rights,” relying on the media’s pat stereotype of post-Reconstruction America from more than a century ago as the still-operative template of today. That this is both offensive and wrong bothers them not one whit: “by any means necessary” is their motto for a reason. So unless the GOP never wants to win another national election, those states still controlled by Republican governors and legislative majorities need to get their act together, fast. The Democrats lost the presidential election of 2000 only because the Supreme Court, in a 7-2 vote, overruled the Florida Supreme Court’s order for a statewide recount as being in clear violation of Florida law and a violation of the Equal Protection Clause. That effectively ended the contest. But once burned, twice shy: Democrats have made sure to attack almost every subsequent close vote across the board, in Washington state for governor, in two straight Connecticut gubernatorial races, in Al Franken’s wondrous “victory” in Minnesota, and in Arizona this year, to name just a few recent examples. They never stop, they never sleep, they never quit. Now they’re still at it in Florida, because if they can “win” there their media buddies can cement the notion that this was a “blue wave” election after all, thus sowing doubt and discouragement in the minds of Republican voters heading into 2020 and emboldening talk of dumping Trump in favor of… Mitt Romney?… so the wipeout can be complete. Step Two — Anchor to verifiable paper ballots. It is your best hope for truth. Why? Several reasons. For one thing, some major political players (e.g. 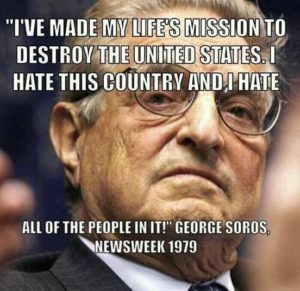 George Soros, etc.) have interests and or ownership in companies that manufacture and maintain voting machines. Nothing that involves such people can be trusted. You can almost say the same for mail-in ballots, no matter how they are tallied. My home state of Oregon was the first to go to 100% mail-in, and, worse, later, to automatically mail ballots to all registered voters. The result was an inexorable drift to a single party state. Beautiful Oregon is now the People’s Republic of Oregon, run by Democrats with virtually no accountability. A mail-in ballot is almost impossible to validate. About the only chance you have is to check the signatures. That takes far too long. There are expensive automatic machines to check signatures with those on record, but even that might not help. Consider cases where there is one party rule and corrupt officials are involved in the voting process, as in, say, Florida, with its long, sad history. Elections officials have the voter lists and signatures. It is possible to keep a stash of fake ballots for those who did not vote by the time polls closed. 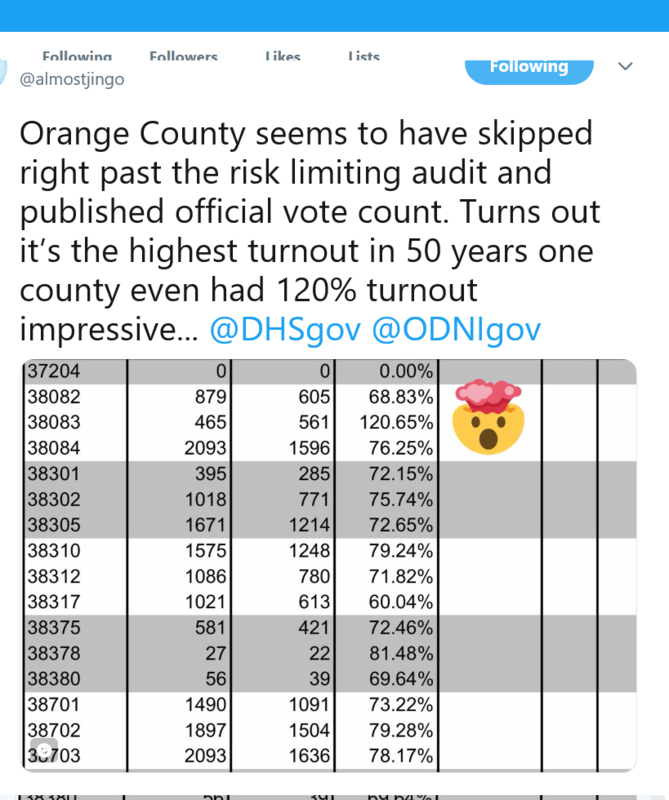 In a close election, say Orange County, that could swing the results. And it did. Jerry Brown passed a California law in 2016 to legalize ballot harvesting. The Gold Standard to validate mail-in ballots is signature verification, but signatures can be forged. More reliable methods — fingerprints or retina scans — would not help, because most who vote with mail-in ballots do not show up at polling places. Voting from home is a trend, but it is intrinsically less trustworthy. Finally, there is a dirty little secret about networked computers. The Internet came out of the Cold War. It was designed to do one thing — COMMUNICATE. It does that well. It was designed to allow communication even after a nuclear war. There is only one answer to the question, “Is my network secure?” That answer is: “It depends.” A multi-Billion dollar industry now exists to make networks secure, to kill spyware, prevent hacks, etc. Despite that investment and constant work, breaches are common and Identity Theft is a growing threat. Even in theory — forget the technology — it is not possible to make a network both totally secure and verifiable so you can audit results. It doesn’t work that way. CONCLUSION: You do not want to stake the future of your government on a networked, distributed computer system or mail-in ballots. Not ever. Never. PROBLEM: Hand counting ballots takes a long time and is subject to human error. This is unacceptable. Amusing anecdote: During the infamous 2000 election, I was on an assignment with a client in the mid-East, in Egypt — which, at the time, was on the State Department “dangerous places” list. They had their election on the same day we did. The city was in lock down. Some expected riots. Voting places were guarded by troops with machine guns. So we shut down, went to a nice restaurant, had dinner overlooking the Nile (excellent seafood from the Red Sea, no liquor or wine), and chatted about politics. I was the only American there. My Arab hosts had interesting stories. One assured me that his long dead grandfather was still voting. I was repeatedly asked who would win the Presidency. Boy was I wrong. I was there for weeks. At the time I returned to the States, we still did not know the election results. Step Three — Use technology where you can to get prompt, trustworthy results. Of course, you say “How?” Especially if you believe what I said in Step Two. That answer comes in two parts. One is in the future. Experts and futurists are saying that in a decade or two there will be a solution, one that will displace the Internet for valuable transactions. Here is a link that gives informed opinions. That future is hopeful to some, but it threatens powerful vested interests. It is a future that has enemies. Like all futures, it is uncertain. I think there is a solution that might work. A family member is from Brazil. As it turns out, he works in technology. He told me they had solved that problem. If so, that is interesting. Brazil has large, dense, cities. It is, unfortunately, known for corruption. It also has very remote areas, like the Amazon. Anything that could work there, should work in America. Here is what they use: Small, portable voting machines. You can set them up anywhere in a city. You just plug them in and go. In the remote jungle, you can run them from an automobile battery. Their machines are NOT networked. Instead what they produce is four sets of records that trace back to each specific machine. They burn three identical chips, and they also make a paper record. The chips are physically taken to central locations where votes are tallied. This can be done electronically, quickly. If there are issues with a machine being corrupted or voter fraud, you have two extra copies. If that fails, you can get back to a paper record which you can audit. I don’t know the full details of these machines, but, whatever they are, I would envision that such machines could be extended to being able to read and log things like “photo ID,” “bio-metric ID,” etc. Fingerprints and “purple fingers” might help too. WHY HAVE WE NEVER HEARD OF HOW BRAZIL SOLVED THIS PROBLEM? The fact that we have not, makes me hopeful. California now allows “Ballot Harvesting.” In other states, if you ballot harvest, you go to prison. Especially, when you consider that some of those 7 seats were decided as late as 3 weeks after the election. 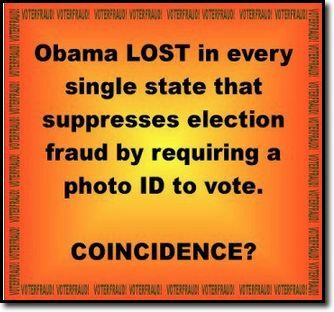 The reason it’s illegal in other states that you can commit voter fraud and it’s almost impossible to prove. Ballot harvesting is when a third party gathers ballots from people and they turn in all the ballots they gathered. On election night, all seven races were led by Republicans, including one race where the Republican led by a whopping 6.4% of the vote. They simply kept counting votes until they won all seven races. The Daily Caller has more on this outrageous practice used by Democrats. There is also outright fraud by election officials. Arizona was especially bad (electing a Soros-Funded Code Pink Activist to the US Senate) but, so far, there has been NO corrective action. Litigation is in process. This entry was posted in Actionable, Constitution & Gov, Enterprise, Non-Fiction, Novels and tagged America, Constitution, Deep State, Educational, election2018, Elections, Exceptionalism, Freedom, Innovation, voter fraud, voting. Bookmark the permalink. The struggle between good and evil is eternal. Those who do wrong must be punished or evil prospers. Civilization has known that at least as far back as the Ten Commandments, and likely even before. This is how they did it in AZ! How they got a Code Pink Activist Elected to the US Senate. Illegals are allowed to vote in AZ with a wink and a nod, but only in National Elections. Who knew? This came in from a follower on Twitter. If not fixed, we have A MASSIVE NATION-WIDE VOTING PROBLEM IN 2020.
http://blackboxvoting.org This gal has a wealth of experience.. 2020 is going to be a huge problem if not addressed now! California is lost. 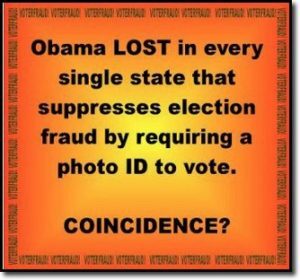 Here is how they are attempting to legalize voter fraud. 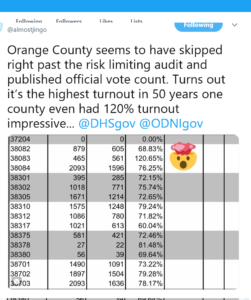 It appears likely that this is how Orange County was “flipped” in the 2018 election. Think about that for a minute…. Corrupt Democrats (= American Communists) want more illegals to get more Dem seats in the House. 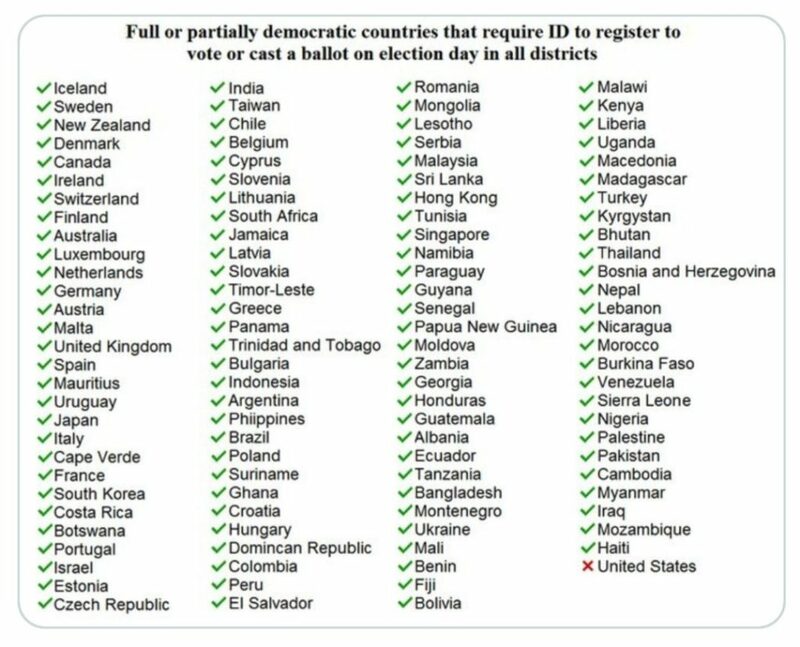 The goal is to inundate CA, TX, NY, FL with illegals to increase their electoral count. CA has 55, Texas 38, NY 29, FL 29 = 151 votes of what they need for 270.